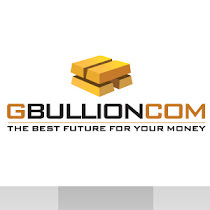 Official GBULLION Blog: Up? Down? or Sideways? The majority of Kitco News Gold Survey Participants remain bullish. The general certainty in the fact that the price will go up is a bit lower as compared to the week before, but is still high. Let's look at the exact figures. The total number of respondents this week is 24, 15 out of those expect the prices to increase, 5 participants see them down and 4 preferred to stay neutral - that is they see prices moving sideways. There are 2 opinions as to why the price for the yellow metal should continue to go up. The first reason to believe it is going to be the case is the fact that the market’s break was overdone and is due for a rebound on oversold conditions. According to the second opinion gold will return to trading on its underlying bullish fundamentals of central bank monetary stimulus as soon as the market gets past the year-end holidays, and THAT will allow gold to rise. This way or another, we should still remember that markets tend to be rather volatile closer ot the end of the year, which makes some participants interested in closing up shop for now. But like they say... you never know!